Page Street Publishing, 9781624146312, 192pp. Make every day a crafting bonanza with this inspiring and helpful guidebook packed with 60 projects. These accessories, toys and decorations are as easy to create as they are fun to wear and display! Grab an adult to help you get started, then you’re off sewing adorable crafts you can personalize with your favorite colors and fabrics. Brandy Nelson is the founder of the blog Gluesticks. Her work has been featured in All You magazine, Taste of Home, Apartment Therapy, Craft Gawker and FamilyFun magazine. She lives in Virginia with her husband, five children and black Lab. "...accessible and eclectic.... The broad-ranging projects enable even the most novice sewers to succeed." 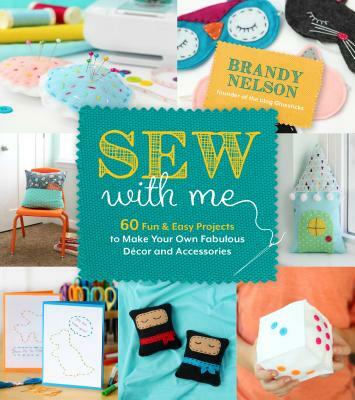 “A delightful collection of sewing projects for the beginner sewist, with carefully curated projects that will surely impress! “Brandy’s fun, whimsical style will inspire the budding sewist to create and have fun. This book is a keeper! “A must-have for any budding sewist! The skills taught will help any child be confident and proud of their creations.